Elizabeth is a successful entrepreneur. 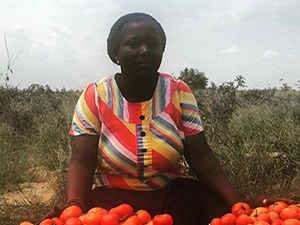 With loans and training from The Hunger Project, she has grown the size of her farming land from 10 to 50 acres. She has also hired people to work for her, and expanded into other businesses like fish, clothes and poultry. Now she can send her kids to school and she’s got the support of her husband, so her whole family is benefiting.